Years of excavation at the quarries identified as nesting sites for the Hadrosaur known as Maiasaura (M. peeblesorum) has yielded an immense amount of data. However, a team of scientists from Montana State University, Oklahoma State, and the Indiana Purdue University have taken the field research in a different direction and used an immense fossil deposit covering over two thousand square metres to report on the largest dinosaur population growth study ever undertaken. The team’s findings make quite sombre reading for any would-be duck-billed dinosaur (not that they could read, we know). Mortality rates for animals under twelve months of age were nearly 90%, whilst if you got passed your eighth birthday, the odds were beginning to stack up against you for living much longer. These dinosaurs lived in tough times. The numbers might sound frightening but mortality rates in extant antelope and other herbivores on the African savannah, are in some cases very similar. Predatory dinosaurs probably did not fare any better. Maiasaura was a large, flat-headed, duck-billed dinosaur that inhabited North America during the Late Cretaceous. The first fossils of Maiasaura were found in the Badlands of western Montana in 1978, by a team of American scientists led by the famous palaeontologist Jack Horner. The site the team discovered consisted of a number of nests, eggs, baby Maiasaura, juveniles as well as adult specimens. The area was renamed “Egg Mountain”. Approximately, 200 individual specimens have been excavated, providing evidence of the nesting behaviour of dinosaurs. Published papers on these fossils were amongst the first to put forward the hypothesis that some types of baby dinosaurs were altricial, that is, heavily dependent on their parents for food and protection. Here was evidence of dinosaurs being raised in nests. This new research published this week in the journal “Paleobiology” provides the most detailed life history of any dinosaur and has created a framework to which all other dinosaurs can be compared. The research was led by Holly Woodward Ballard, Assistant Professor of Anatomy at Oklahoma State University, who prior to her appointment to this post, undertook her PhD at Montana State University. Holly specialises in studying osteohistology (growth patterns of animals preserved in bone tissue) to map population growth dynamics in extinct vertebrates. This data can then be used to create a model for palaeohistologic inferences, examining how individuals vary within a population, growth rates and survival rates. To complete the research, the team analysed the fossil bone micro-structure (histology) of fifty Maiasaura tibiae (lower leg bones). The bone histology reveals aspects of growth that cannot be ascertained by observation of the external structure and shape of the bone. The histology reveals information such as growth rate, metabolism, age of maturity, and the age at death. To a statistician a sample of just fifty may not sound like much, but to a vertebrate palaeontologist where a species can be known from a single bone or even a single tooth the Maiasaura fossil assemblage from the Badlands of Montana represents an absolute treasure trove of dinosaur fossil material. The published paper provides an insight into how quickly Maiasaura babies grew up. It had bird-level growth rates throughout most of its life, its bone tissue most closely resembles that of a modern warm-blooded (endothermic) mammal such as an elk. The speed of growth might have something to do with the fact that the bigger you got the less chance of you ending up as a meat-eater’s lunch. Everything Dinosaur has reported previously on a study into the histology of another Hadrosaur, called Hypacrosaurus that showed that these herbivores grew faster than the carnivorous dinosaurs that co-existed with them. The bone histology also recorded major events in the life of individuals such as the different ages when animals died. With these dinosaurs, they probably were mature enough to breed within the third year of life and had an average adult body weight of 2,300 kilogrammes in eight years. Life was tough for these herbivorous dinosaurs, especially the very young or the very old. The average mortality rate for those less than twelve months of age was 89.9%, for individuals eight years and older it was 44.4%. These figures sound alarming but most of the garden birds hatched this spring will not survive their first winter. If a Maiasaura made it through two years, they enjoyed a six-year window of peak physical and reproductive fitness, when the average mortality rate was just 12.7%. 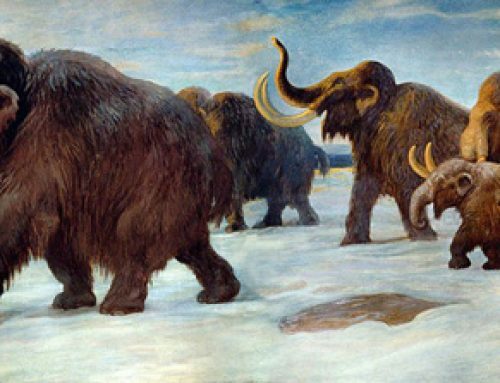 The research also highlighted the extent of individual size variation within an extinct population of animals. Earlier studies had linked age to the size of dinosaur limb bones, this method may not be that accurate based on this new data. Histology studies examining a subset of dinosaur bones (such as femora or tibiae) had been carried out before with an assumed age for an animal calculated on the length of these key bones. The length of the bone may be misleading, it is only by exploring the micro-structure of the bone that age details can be revealed. The Maiasaura research does not end with the publication of this paper. This is only one of a series of proposed study areas. Assistant Professor Woodward Ballard intends to lead a number of annual summer excavations up into the Badlands of Montana to collect more specimens. The scientists want to keep working on the extensive bonebeds and build up a much more complete picture of the daily lives and struggles of these dinosaurs. We at Everything Dinosaur wish all those involved in The Maiasaura Life History Project every success and we look forward to reporting on further research in the near future.